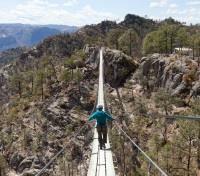 Hike in the Copper Canyon with a private guide. 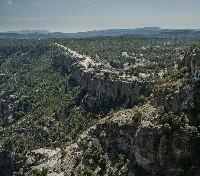 Explore the dramatic Otero Canyon with a private guide, and cross the canyon by cable car. Scenic ride by rail through the mountains, with dozens of tunnels and bridges. Drive the meandering switchbacks of the Batopilas Canyon. Value-based accommodations as selected by a regional specialist. 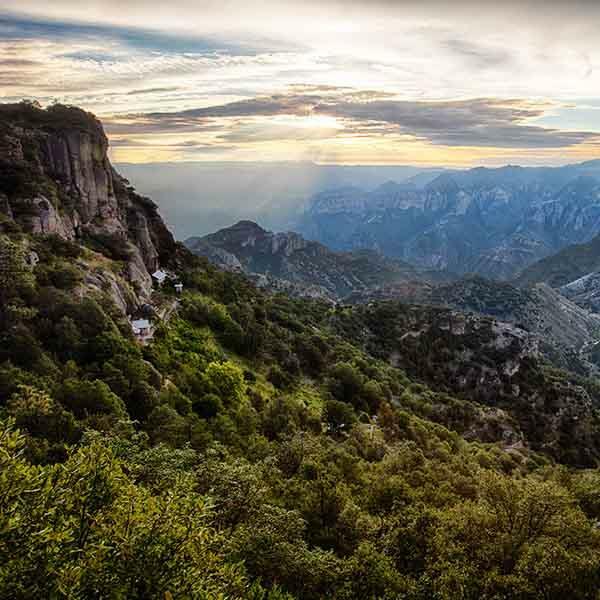 Grab your sense of adventure and set out from Mexico City on a private guided discovery of the expansive and rugged Copper Canyon. 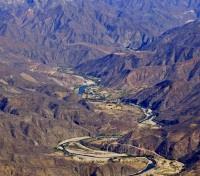 The true journey begins in El Fuerte, gateway to Copper Canyon where you'll board a scenic rail ride to Barrancas, leading you through dozens of tunnels and over countless bridges with exceptional opportunities for taking pictures or just enjoying the view. Meet your private English-speaking guide in Barrancas, and set out for a full day to discover Otero Canyon (one of the seven individual canyons that make up Copper Canyon), and also spend time with the local Tarahumara tribe. Ride one of the highest cable cars in the world as you cross the mountain for exceptional views. Venture onward to Batopilas, driving through an extensive sequence of meandering switchbacks, and then set out with your guide for a full day of hiking through the Canyon. Descend out through more switchbacks and head to Creel, where a final rail journey through the mountains will round out your Copper Canyon adventure. A welcome package will be provided by a representative at the airport containing 24/7 emergency contact information, a confirmed version of the program and other useful information. To ensure your comfort upon arrival, you will have an English-speaking local representative waiting for you outside of Customs holding a sign with your name on it. 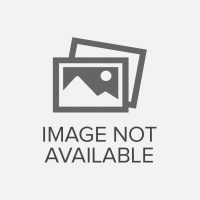 Your representative will help to direct you to your private driver and vehicle, where a Spanish-speaking driver will accompany you to your accommodation. 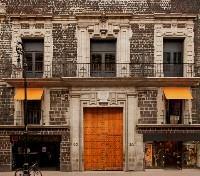 Blending colonial 17th-century grandeur with a raw industrial edge, Downtown Mexico integrates local indigenous culture into its concept while celebrating its location in the Centro Histórico borough of Mexico City. Known as the “Palacio de Los Condes de Miravalle,” it sits comfortably next to other colonial landmarks on the cobbled streets of this UNESCO World Heritage site. One of the oldest residences in the area that still maintains this particular Mexican viceregal style, the 17-room hotel blends elements of colonial style with local, indigenous culture. Housed in a magnificent palace, the meticulous renovation of Downtown Mexico ensured nothing was lost from the original building’s beauty, resulting in a charming and intriguing architecture that blends seamlessly with the hotel’s location and natural environment. 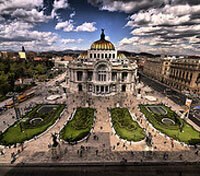 Enjoy a private transfer to the airport from your hotel in Mexico city. Enjoy your flight from Mexico City to Los Mochis. The approximate flying time is 2 hours and 30 minutes. You will be greeted after exiting baggage claim at Los Mochis regional airport to begin a private transfer to the colonial gateway of the Copper Canyon -- El Fuerte. After settling into your hotel, feel free to explore the charming, cobble stone streets of this gorgeous colonial town. Hotel Posada del Hidalgo is a magnificent mansion colonial museum in El Fuerte, Sinaloa, Mexico, It was built just below the old fortress built by the Spanish conquistadors in 1564. 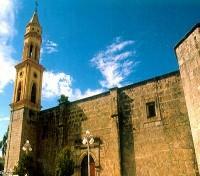 It is believed to have been the original site where the young Diego de la Vega, aka ''El Zorro,'' was born. 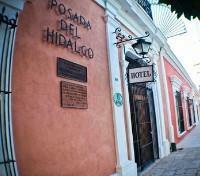 Posada del Hidalgo features a spacious and impressive garden, typical of the old tropical colonial houses. The hotel consists of 5 units linked together over 100 years in time, each with its own Spanish Colonial style courtyards that will send you back to a romantic era. Meet your driver in the hotel lobby for a shared train station transfer. All aboard! It's time to begin your journey into the Copper Canyon riding along the world-famous Chihuahua al Pacifico on a scenic passage through the Sierra Madre Mountains. This comfortable first-class train ride will take you through tunnels, over marvelous bridges and provide you with countless opportunities to take in breath-taking vistas. Lunch (not included) is on your own in the Chepe restaurant car. Enjoy a private transfer to/from the train station. 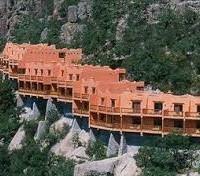 Poised like an eagle's nest at the canyon edge is the Mirador Hotel, near the highest point of the canyon. 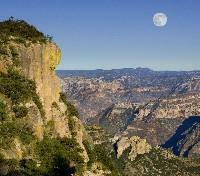 It overlooks awe-inspiring scenery from the rim of the Copper Canyon. This deluxe hotel is surrounded by pine trees, and appears to be "etched out" of the natural rock itself. A beautiful structure with unique architecture and decor, each of its 65 luxurious rooms and suites have a private terrace where you can enjoy one of the finest views of the canyon. It is a bird watchers paradise. After breakfast, meet your expert guide to learn about the canyon system as you spend the entire day exploring this striking landscape, one of the last undiscovered treasures of North America. 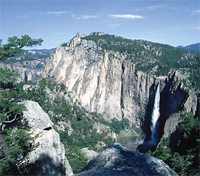 You will learn about the geological forces that created the seven individual canyons, collectively known as the Copper Canyon, and spend time with the local Tarahumara Indians; a semi-nomadic tribe whose ancestors have lived in the canyon’s caves for thousands of years, gaining insight into their timeless traditions and culture. Later in the day, you will experience a canyon crossing in a spectacular cable car ride (one of the highest in the world), arriving at a breathtaking viewpoint where you can marvel at three of the main canyons, including Otero Canyon and the namesake Copper Canyon. 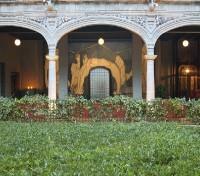 This tour includes private transportation, an English speaking guide, lunch and dinner. Depart for a private transfer to Batopilas. En route, descend the rugged switchbacks into the depths of the Batopilas Canyon, passing through the Copper and La Bufa Canyons along the way... Expect to leave with a first-hand knowledge of why the road to Batopilas was completed only at the end of the 20th Century! Arriving in Batopilas, check into your charming hotel - your room overlooks the Batopilas River - the perfect place to explore this historic mining outpost. Once settled, feel free to walk into town and explore the ruins of the Sheppard Hacienda, admire the vestiges of colonial architecture throughout the town, or perhaps enjoy a beer with the locals at the Swinging Bridge Bar. Surrounded by cliffs, mesas, and cactus-studded hillsides, The Riverside Lodge is a centerpiece of the old silver-mining village of Batopilas, taking you back to colonial Mexico with its heavy wooden doors, Moorish arches, and numerous interior patios. Located near the main square in Batopilas village at the bottom of the Batopilas Canyon, Riverside Lodge is a boutique-style hotel that boasts private gardens, hand-painted murals and beautiful antiques and mosaic-domed. The Lodge was restored with Victorian furnishings--red velvet couches in the salon, antique brass beds in the lavish guest rooms. With the assistance of your private guide, you will have the opportunity to choose from a number of hiking options, each with unique highlights and varying degrees of difficulty. For example, you may choose to hike along the old aqueduct system and discover stunning views of the area around Batopilas. Nesting near the water, you are likely to spot rare birds including the Mot Mot, Squirrel Cuckoo, and Military Macaws. 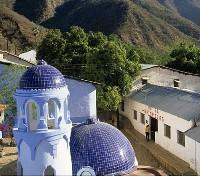 Another popular option is to visit "Los Cathedral of Satevo" (the Lost Cathedral). Built in the 18th century, the Jesuits who founded this mission were expelled from the Spanish colonies when the Franciscans took over the region. Noted for the unusual building materials used in construction, the dimensions and style of this cathedral are unlike any other. Other hiking options include a tour of the silver mine "Penasquito," a birding experience, or touring through the Batopilas Museum (among many more). Of course, if you prefer to relax in town, this too can be arranged. After an early breakfast, prepare to depart the Batopilas Canyon through a spectacular array of switchbacks to Creel, where you will have the afternoon at leisure to relax or explore the town. 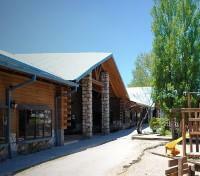 You may choose to visit the local crafts cooperative or to visit to the nearby hot springs. The Lodge at Creel Hotel & Spa by Best Western distinguishes itself by offering a convenient list of services to turn your stay into a truly memorable experience. Backed by 15 years of experience in the Sierra Tarahumara, The Lodge at Creel invites guests to discover a lengthy list of services and comforts which include an on-site sauna, spa, gym, children’s playground, billiards room, and a game room. Always concerned for the well-being of the planet, The Lodge at Creel is an eco-friendly hotel, certified as a “Green Hotel” by Best Green. Meet your driver for a private train station transfer. 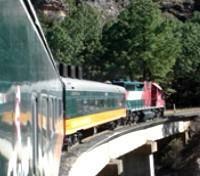 Today you'll ride by rail from Creel to El Fuerte. The total travel time is approximately 6.5 hours. Meet your private driver for a train station transfer by private vehicle.